Romance books with recipes have been such a hit that they are now considered their own genre. In these books, recipes are often attributed to the character who is either making or eating the dish. Since Lily in Love’s Forbidden Flower is an aspiring pastry chef, I often get grief from readers for not posting recipes. Being it is Christmas time, it seems appropriate to post the recipe for Lily’s Christmas Cocoa, also known as my European Drinking Chocolate recipe. Mint extracts vary in intensity depending on the manufacturer. Start small and add until you have the amount you like. The finer the chocolate is chopped, the faster it will melt. Warming the extract along with the milk with help the flavors develop. Place the milk and the extract in a saucepan over medium heat and stir with a whisk until it starts to simmer. Add the chocolate and continue to stir until it has melted. Try not to let the milk boil, as it might scald. If you would like a stronger mint flavor, increase the extract one drop at a time, as the flavor will build quickly. 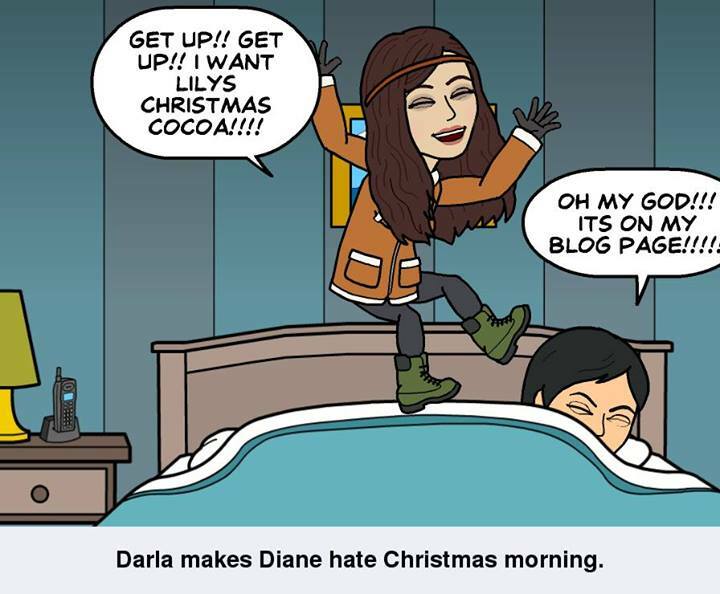 As you can see from this graphic that Darla made, Lily’s Christmas Cocoa is a hit!